Entry forms available at the Library; due by February 23rd at 5pm. Bookmark design contest open to students K-12 who live or attend school in Glendora. 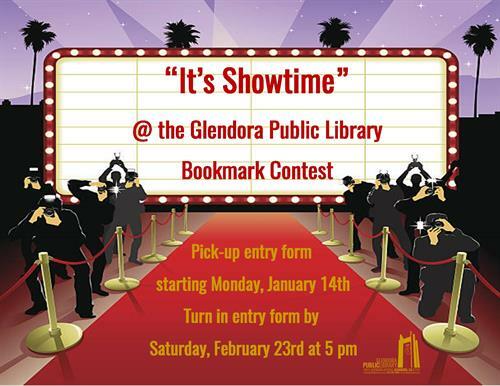 Design theme: It's Showtime @ The Glendora Public Library.